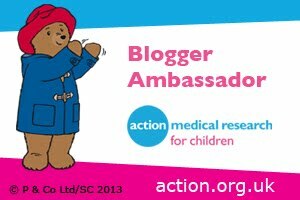 What with getting older and suffering from poor skin condition thanks to PCOS and dermatographic urticaria (aka skin writing) I am always on the lookout for new ways to improve my skin condition so that it looks and feels better and healthier. The SENSSE Beauty Hot and Cool Ultrasonic Skin Tightening Facial Toner and Eye Massager is designed to improve skin condition and health. It is also designed to help reduce wrinkles, facial lines and eye bags and help saggy, dull or dry skin. 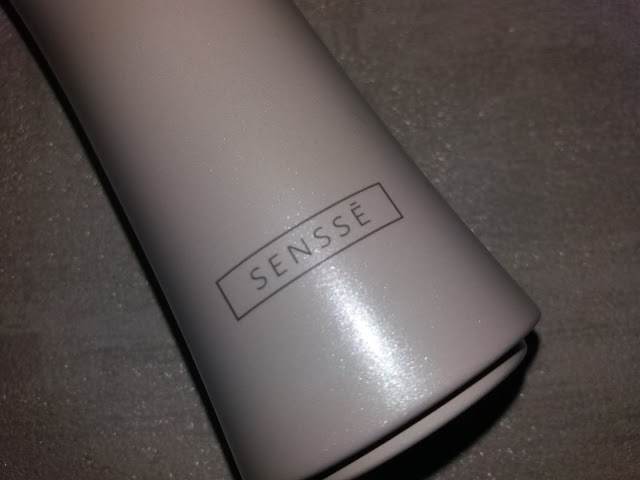 As SENSSE have belief in their product the Ultrasonic Facial bar comes with a 60 day money back satisfaction guarantee and 2 year manufacturer's warranty. This provides peace of mind and allows you to buy this facial bar with confidence. Hot and cool face massager gives your skin an instant refresh that relieves skin fatigue and energises your facial muscles for a lasting, radiant glow. The 42°C temperature in hot mode is optimal for increasing blood circulation, relaxing your facial muscles, smoothing wrinkles, and activating cell regrowth. Uses optimal 6°C temperature to soothe sore facial muscles, and relieve skin fatigue; Also reduces redness and puffiness to make your skin look bright and beautiful. 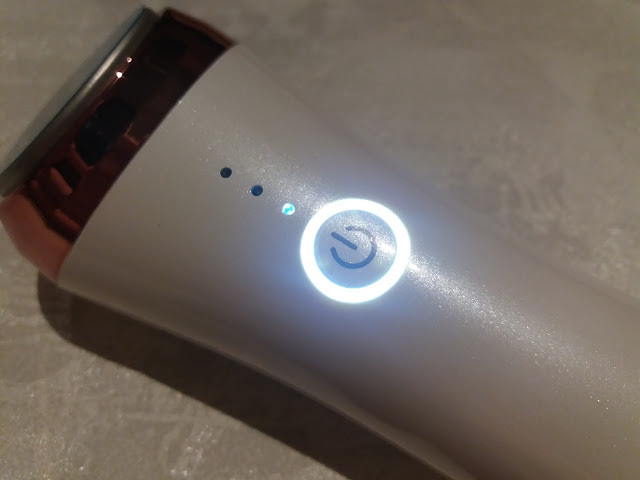 Ultrasonic vibrations increase absorption of your moisturiser while cool mode closes pores, locking in your skin care product and preventing dirt and grime buildup. 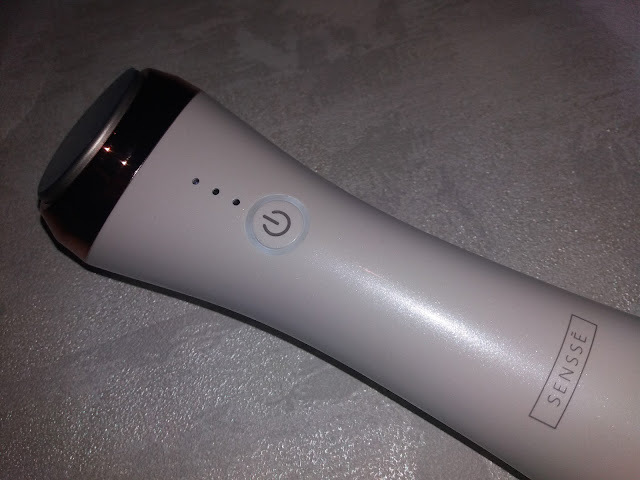 The SENSSE Hot and Cool Ultrasonic Skin Tightening Facial Toner and Eye Massager has 4 different modes all of which provide different skincare benefits. The hot mode features a temperature of 42°C which is optimal for increasing blood circulation and relaxing facial muscles. The increased blood circulation and relaxed facial muscles from the hot mode helps smooth out wrinkles, softens skin and activates cell re-growth. 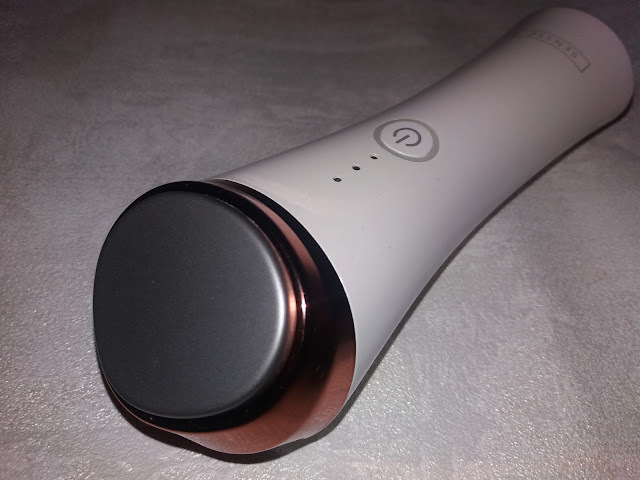 The hot mode with gentle ultrasonic vibrations helps massage moisturiser into your skin. 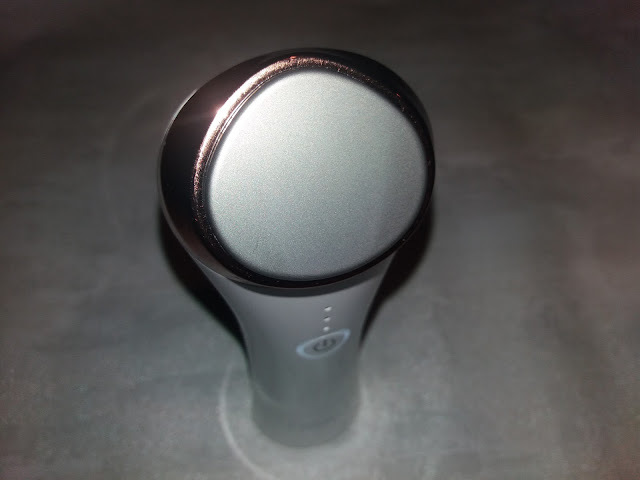 The combination of hot temperature and ultrasonic vibrations increases absorption of the moisturiser which helps you get the most out of the skincare product. The cool mode uses optimal 6°C temperature to soothe sore facial muscles and relieve skin fatigue. 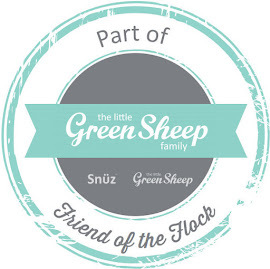 The cool temperature reduces redness and stiffness making your skin look bright and beautiful. The mode also closes your pores to enhance moisturizer absorption and prevent dirt and grime buildup. 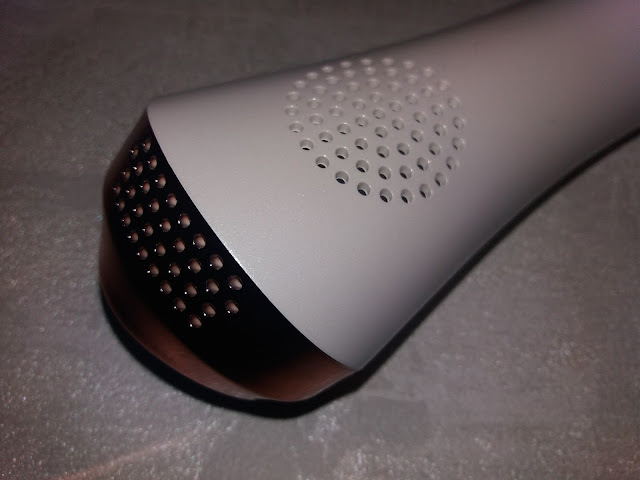 The cool mode combined with ultrasonic vibrations tones and firms your skin to reduce the appearance of wrinkles. You can switch between the different modes by pushing the button on the front of the bar. Above the button are 3 lights that light up depending on which mode you are on. Turn on the facial bar by pressing the button for 4 seconds. To turn off the facial bar hold the button for a few seconds. The facial bar arrived in a stylish box and first impressions of the bar itself was that it too looked stylish. The facial bar’s design is sleek and chic, the bar’s shape is curved slightly in the centre and is a glossy white colour that has a subtle shimmer with rose gold detailing and a silver chrome head. The glossy white bar is silky smooth to touch and the colour and exquisite detailing gives the facial bar an air of luxury and quality. The bar is lightweight and fits perfectly in your hand making it easy to use. 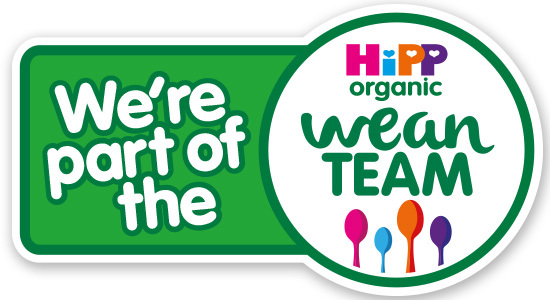 The silky, glossy finish on the bar and the gentle curve in the centre of the bar makes holding it comfortable. The bar head is designed in a curvilinear triangle with soft curved edges which is ideal for massaging facial areas. The head is a decent size for massaging facial areas but not too big so that it fits well in the curves and smaller areas of the face. Having seen many photos of the facial bar in reviews online I noticed that many photos had a blue sticker on the head making the head of the facial bar look blue. 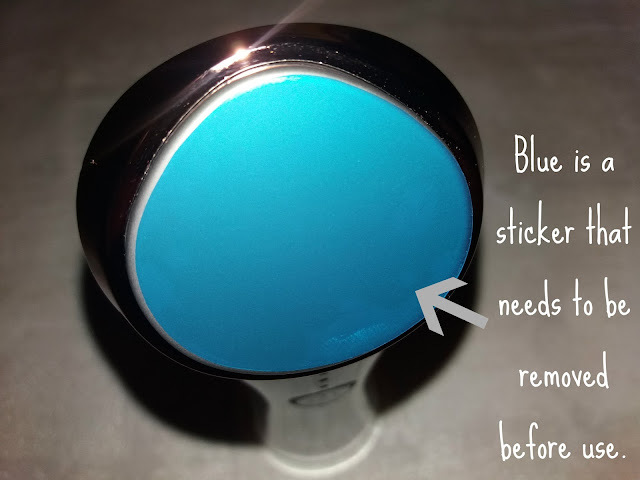 However the blue film sticker needs to be removed before use and the head is a silver chrome finish. On first use I was surprised and impressed with how the different temperature modes felt and how quickly the bar changed from hot mode to cool mode - it felt also instantaneous! The hot mode felt beautifully warm, lovely and relaxing like a comforting spa but in the comfort of your own home. The cool mode was surprisingly colder than I expected. The cool temperature was relaxing in a different way and left my skin feeling bright and healthy. The vibration mode in both temperatures enhanced the experience being relaxing. Thankfully the vibration mode is not too powerful so that it provides a relaxing, comforting vibration. The vibration modes are also pretty quiet which is a bonus. Also when the cool mode is activated there is a noise of the fans working but the noise is not too loud to bother me and affect wanting to use the product. I appreciate the fact that fan vents are on the rear of the bar for safety. Changing between the modes is quick and easy. I love how quickly the temperature and/or vibrations turn on and off. I appreciate that you can see what mode you have selected by looking at what lights are glowing. When changing between the modes by pressing the button the bar bleeps. 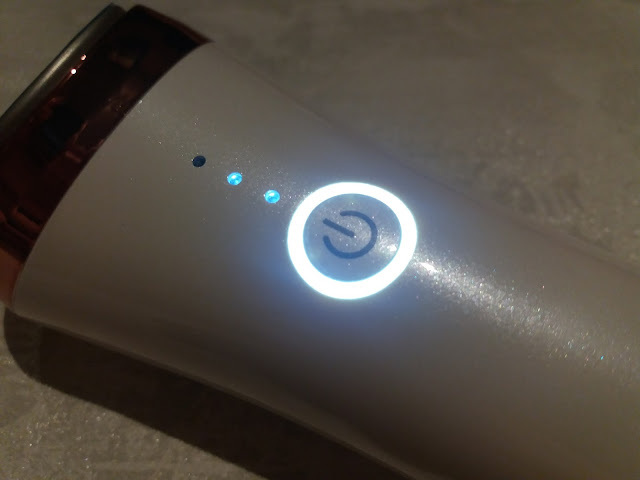 I love that the bar is cordless so that you don’t have cords getting in the way when using as part of your skincare routine. Thanks to the cordless design it also allows you to use the facial bar anywhere and everywhere making it more versatile. Charging the bar is simple and easy, simply place the bar in the charging port that has a usb cable. 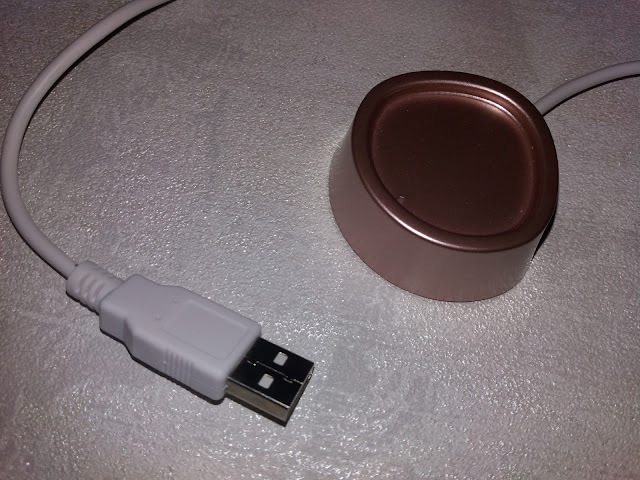 The charging port is a lovely rose gold colour and works well for charging the bar. The only negative is that when sitting in the charging port it is not always a good, strong connection and is easily knocked out if accidentally touched. I’ve been using the facial bar regularly and have loved incorporating it into my skincare routine. Whilst I cannot say whether it truly helps to reduce wrinkles I have seen positive benefits to my skin and believe it enhances a skincare routine. My skin looks and feels healthier, it is brighter and feels softer. As someone who suffers from redness the cool mode has helped reduce redness and improve skin tone. 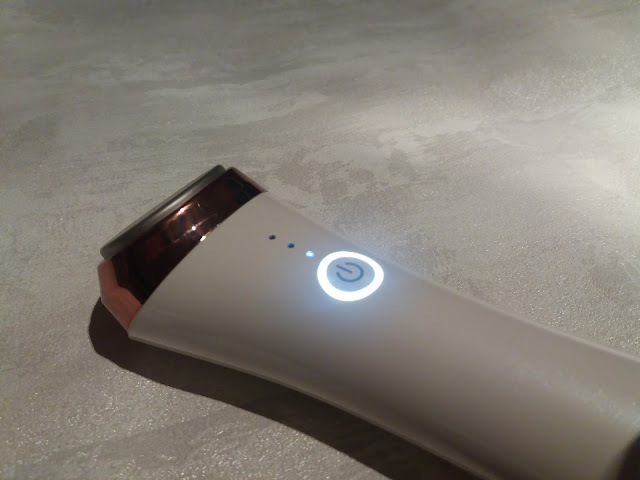 The hot mode is very comforting and warming, whilst the cool mode is relaxing and is great for helping cool me down (I tend to run warm and feel too hot) and ease headaches - the cold bar head on my forehead when I have a headache feels like bliss. Whilst I am grateful for the positive improvements on my skin from using the facial bar , what I love the most is that using the facial bar is relaxing and feels like a mini-spa facial from the comfort of my own home. 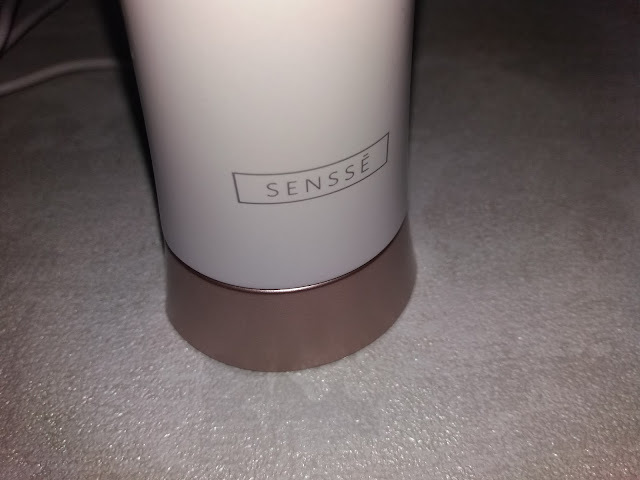 I would highly recommend the SENSSE Hot and Cool Ultrasonic Skin Tightening Facial Toner and Eye Massager and it is now an integral part of my skincare routine.